Guide price is per person. Based on 4 people sharing for 7 nights on All Inclusive. Departs from selected UK airports. Please call for more details, dates and durations. Enjoy a fun packed holiday at the Coral Compostela Beach Resort. With a range of great facilities and entertainment suitable for all ages. 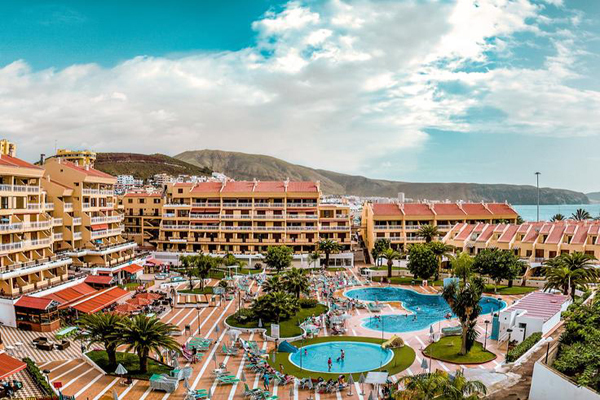 This accommodation is in a great spot close to all the shops, bars and restaurants as well as the lovely Las Vistas Beach. 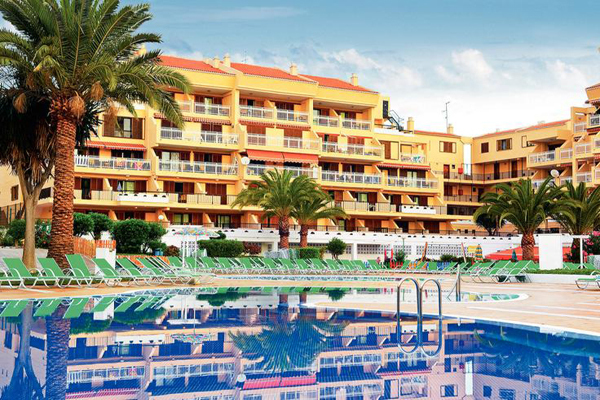 The large pool has plenty of sun terrace space from which to enjoy the warm Tenerife sunshine. 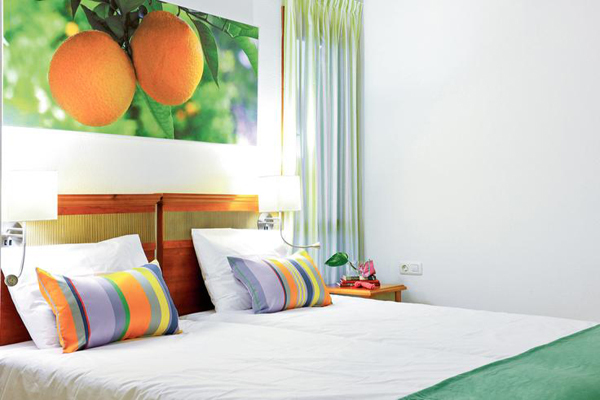 Board Basis: All Inclusive, Self Catering, Bed & Breakfast and Half Board are available. Location: Right on the beachfront Direct access to the fantastic Las Vistas beach. 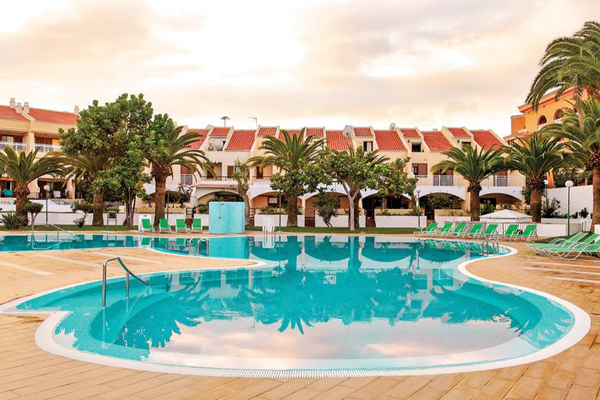 Facilities: Outdoor pool (climatised in the cooler months) • Buffet restaurant and kids' area • À la carte snack bar with take−away service • Pool snack bar • Deli • Kids' splash pool (heated in the cooler months) • Play area with sandpit • Play room • Occasional evening entertainment • Reception • PAYABLE LOCALLY: Wi−Fi (selected areas) • Pool towels • Table tennis • Pool table • Bottled water • International drinks. PLEASE NOTE: due to the number of steps in the hotel it may not be suitable for guests with mobility difficulties. Rooms: One bedroom apartments (four people) have twin beds, double sofa bed, flat−screen television, kitchenette (cooking rings, microwave, fridge and tea and coffee making facilities), bathroom with shower only and balcony or terrace. AVAILABLE AT A SUPPLEMENT: Two bedroom apartments have additional bedroom • Pool view apartments • Sea view apartments. 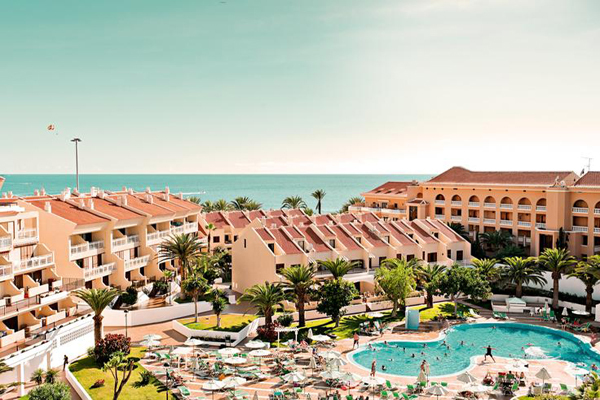 All Inclusive: Here are just a few of the package highlights: Buffet breakfast, lunch and dinner • Drinks available 11am-11pm • Snacks available at selected times throughout the day. Call us for great deals on holidays to the Parque La Paz.